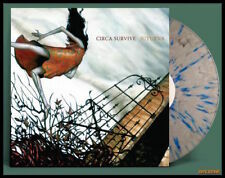 Showing results for "circa survive"
eBay * CIRCA SURVIVE - Juturna, Ltd BLUE/GREY SPLATTER VINYL Gatefold + DL New! Bend! Circa Survive - Juturna [New CD] Artist: Circa Survive Title: Juturna Item Condition: New and unplayed Format: CD Release Date: 2005 Label: Equal Vision Records UPC: 794558110327 Genre: Alternative Rock Album Tracks 1. Holding Somone's Hair Back 2. Act Appalled 3. Wish Resign 4. The Glorious Nosebleed 5. In Fear and Faith 6. The Great Golden Baby 7. Stop the Car 8. We're All Thieves 9. Oh. Hello 10. Always Getting What You Want 11. Meet Me in Montauk Circa Survive is the new band featuring Anthony Green from Saosin and Colin Frangicetto and Brendan Ekstorm from tthe This Day Forward. JUTURNA is a mind-bending amalgamation of influence ranging from prog-rock to art-metal, it reflects both the diverse background and the common bonds of the five unique individuals who make up Circa Survive. Further Details Title: BLUE SKY NOISE Artist: CIRCA SURVIVE Catalogue Number: ATL524330.2 Format: CD Condition: New Missing Information? Please contact us if any details are missing and where possible we will add the information to our listing. Further Details Title: Descensus Artist: Circa Survive Catalogue Number: W97 Q114004V Format: CD Condition: New Label: Sumerian Records Release Date: 2014-11-24 Genre: Rock/Pop Sub Genre: Indie/Alternative Tracklist: 1-1 Schema 1-2 Child of the Desert 1-3 Always Begin 1-4 Who Will Lie With Me Now 1-5 Only the Sun 1-6 Nesting Dolls 1-7 Quiet Down 1-8 Phantom 1-9 Sovereign Circles 1-10 Descensus Missing Information? Please contact us if any details are missing and where possible we will add the information to our listing. 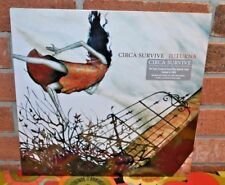 Circa Survive - Juturna: 10 Year Anniversary Edition [New CD] Anniversary Edition, Deluxe Edition, Digipack Packaging Artist: Circa Survive Title: Juturna: 10 Year Anniversary Edition Item Condition: New and unplayed Format: CD Release Date: 2015 Label: Equal Vision Records UPC: 794558034128 Genre: Rock Rarely does a band's debut album become such a critic and fan favorite as Juturna has, which speaks to the unique magic created by Circa Survive during it's writing and recording. Ten years after it's release, the songs are still inspiring and fresh. This 2 CD deluxe anniversary edition includes the original bonus track Suspending Disbelief, 11 demo versions and 6 B-sides. Classic skate style meets modern performance with the awesome C1RCA Salix shoe! ; Uppers of durable suede. ; Flex points at forefoot. ; Triple-stitched ollie area. ; Lockstitch quarter panel. ; Surefit Neoprene sockliner. ; Aerocush phylon midsole for cushioned support. ; Surefit compressed EVA heel stabilizer. ; FUSIONGRIP rubber outsole for long-lasting wear and grippy board feel. ; Imported. Measurements: ; Weight: 15 oz ; Product measurements were taken using size 12, width D - Medium. Please note that measurements may vary by size. You can't miss with a classic! Respect the game with the skate-ready C1RCA AL50 shoe. ; Designed by Adrian Lopez. ; Uppers of synthetic nubuck. ; Lightweight EVA midsole. ; Genuine vulcanized construction for optimum flex. ; O.g. C1RCA outsole for superior grip. ; Imported. Measurements: ; Weight: 1 lb 10 oz ; Product measurements were taken using size 11, width D - Medium. Please note that measurements may vary by size.